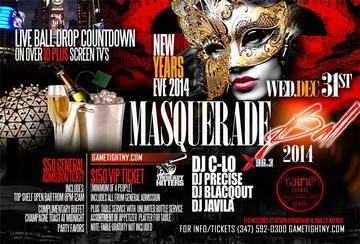 RAINE LOUNGE IN THE BRONX NEW YEARS EVE NYE PARTY– BRONX RAINE LOUNGE NYC - HOTTEST NYE MASQUERADE PARTY IN NYC! NEW YEARS EVE 2015 PARTY! 1 DAY - 1 EXCLUSIVE EVENT! RAINE LOUNGE NYE NEW YEARS EVE WITH MUSIC BY NYC HOTTEST DJS! RAINE LOUNGE NEWYORK NYC NEW YEARS EVE NYE BRONX PARTY! TICKET EVENT 21 & OVER! RAINE LOUNGE NY NEW YEARS EVE NYE PARTY! CLUB RAINE LOUNGE BRONX NYC IN BRONX, NY! CAPACITY EXPECTED! BUY YOUR TICKETS NOW FOR JUST 50$! ID a must. 21 & over. Raine Lounge in Bronx NYC New Years Eve Dress Code: Formal attire highly recommended but not required! RECAP OF LAST YEAR RAINE LOUNGE IN BRONX!